Was your childhood dream to become a pilot? Are you looking to make that dream a reality? 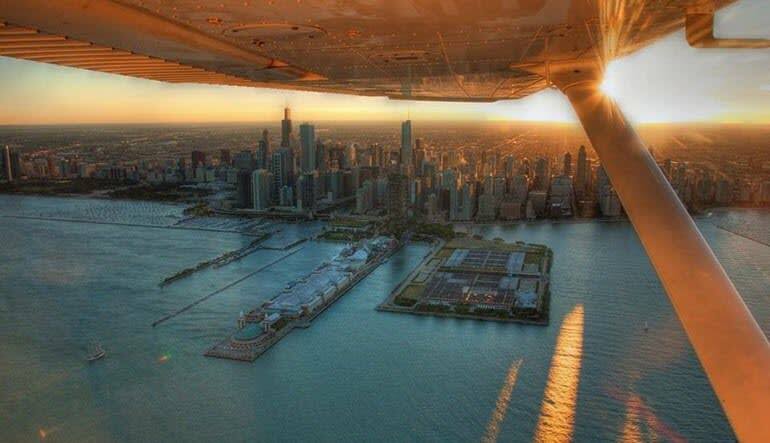 This Downtown Chicago flight lesson is the perfect place to start living your dream. Your flight will begin over the Northern Suburbs of Chicago; from there you will head South East where you will breach the shoreline of Lake Michigan. At this point Chicago's Skyline will be in plain view and you will have full control of the aircraft. With the skyline to your right and the beauty of Lake Michigan to your left, this is typically the portion of the flight where you realize that being a pilot is for you and you begin to feel that you are finally living your dream. 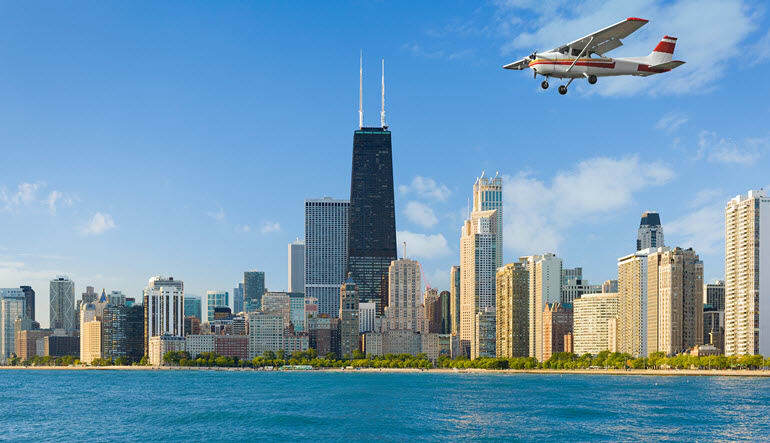 After taking in the wealth of information from inside the cockpit and the beauty that surrounds you below, you will head back North and cruise over the loop, pass by Willis Tower, the Hancock Building and near Wrigley Field. Now that the views of the city are behind you, the challenge of landing the airplane is your next mission. This portion of the flight is sure to get your adrenaline pumping. Have no worries though, as your certified flight instructor will teach you how to land your aircraft to perfection, so that one day you will be able to handle a landing completely on your own. I bought this as a birthday gift for my man who had a dream of learning to fly. He, we, had a blast and loved every minute! Dave our instructor was amazing and friendly, with extensive knowledge that we found so very helpful and interesting! A fantastic time in the air and on the ground! Thank you so much Adrenaline and Dave! I received this flight as a 40th birthday present. I was nervous before the flight but once in the air, the flight went so fast. We enjoyed the amazing views of the downtown skyline and the professionalism of our flight instructor preparing us for the flight. One of my friends saw this attached picture and said that I really looked like a pilot. I looked like a pilot and preformed some of the pilot skilss for that hour in the sky. Best birthday present ever! If the participant is over 6ft and 200lbs they will need to upgrade to a larger aircraft which will incur a $50 fee.